So it's going to be a very reiki day today. I stayed up til midnight last night, energized by teaching nursing students til 8, topic: wound care. Got up at six this morning. Soon I'll head over to the cancer center. I'll work with a new reiki practitioner this morning. It is such a privilege to do reiki at the Center. It's a warm and wonderful place. Staff are always ready with smiles and hugs. The clients are amazing; they endure so much. It's a place where hearts are wide open and loving. Around noon I'll have a reiki session with one of the practitioners. I just love her energy. Plus she always seems to have messages for me from my grandma. Then I'll drive home in a winter storm. Hope my wheels stay on the road. The picture above is from a reading I did in Raymond, Maine, at the Good Life Market. “Mr G. told me he’d had painful spasms all over his body, every five minutes, all day. He’d received reiki before, and wanted another session. 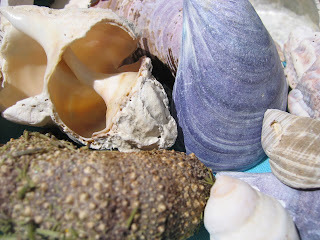 I focused on the reiki symbols, and began channeling the energy. I felt the familiar tingling starting at the top of my head, and progressing down both arms. Gradually the sounds of the noisy ICU faded away. It felt like my ears were muffled. 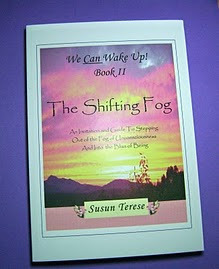 SuSun has a new book, The Shifting Fog. Read this book! 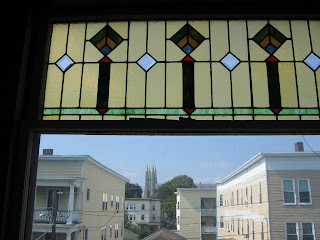 I offer Reiki in a hospital-affiliated cancer center in a town with a strong Catholic history. I encounter many people who honor their Catholic heritage and faith, but do not honor the decrees of the bishops. Sometimes I explain to people that Reiki is a cultural choice, not a religious choice. So, the cultural consideration issue. When I say that to, for example, an institutional administrator, they get it right away. 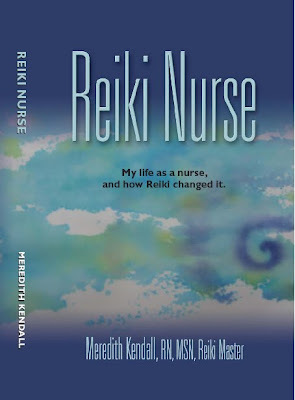 Offering reiki is a cultural consideration, something a hospital can do to support a patient's personal beliefs. It's like offering vegetarian choices in the cafeteria. Not everyone wants the tofu, but it's there for those who do. Saw a gang of ravens on my way into work this morning. They were crowded around a tasty morsel of garbage. I looked online for the spiritual significance of ravens. Discovered their voices can transport my spirit to another dimension. Cool! Did you see the reiki segment on TV the other night? That's my program! And the practitioner, Kathi, is my friend, colleague, and reiki student! Pretty cool! It's a beautiful segment about reiki. Unfortunately, there were a few errors in the report. Here are the errors. The energy doesn't come from the practitioner, it comes from the Universal Source. Reiki students learn how to access that energy. Reiki did not originate in Tibet. In our time it came from Mikao Usui, of Japan. Reiki is not massage, it is a gentle touch.The recipient remains clothed. The practitioner can work in the energy field a few inches above the body, or can gently place hands on the body. Despite the errors, overall it was nicely done. Thanks to everyone involved for helping to spread a positive message. One of my students asked me what I say when I do reiki. When I start a reiki session I ask my angels and guides, "Please use me to help this wonderful person. Help them to acheive the greatest good across all multidimensions of time and space. Thank you. Please work through my heart to channel love. Please guide my hands (hands in prayer position over heart chakra), and show me what I need to see (hands in prayer position over third eye). Thank you." I say something like that. And I picture the reiki symbols. And as I work, I pray to channel love and health.